Emergency Alert. Be Warned. Be Informed. - Emergency Alert. Be Warned. Be Informed. Emergency Alert. Be Warned. Be Informed. 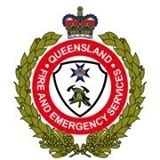 This website does not contain emergency information or warnings.If you require emergency information, click on your State or Territory below. Supported by the VIC, NSW, QLD, SA, ACT, TAS, WA and NT Governments, with financial assistance from the Commonwealth Government.